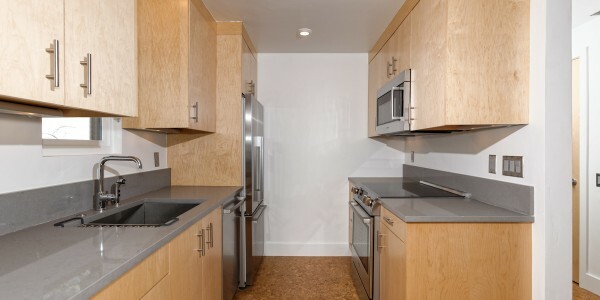 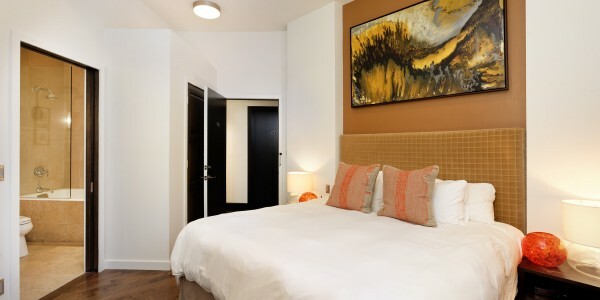 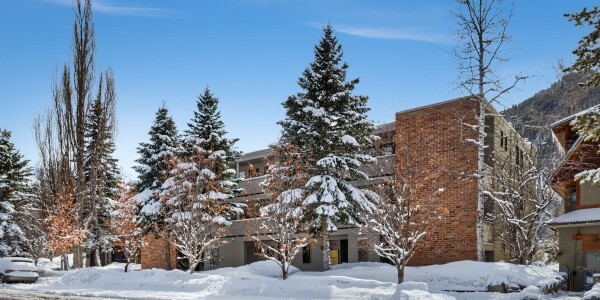 Completely remodeled one bedroom, one bath two story, corner luxury Sunrise condo. 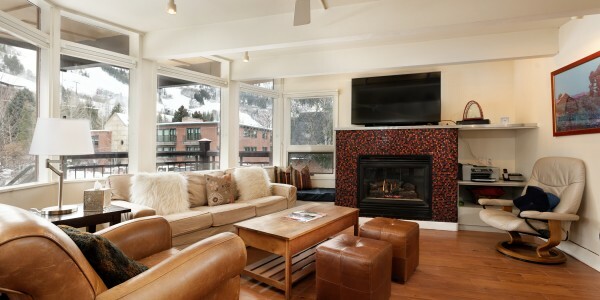 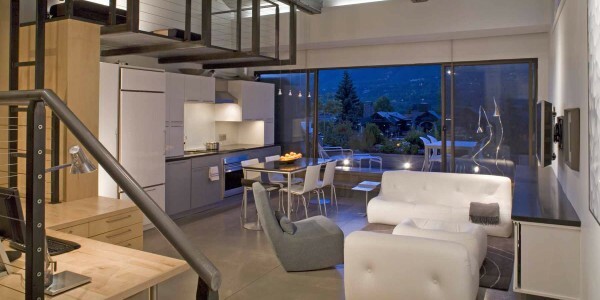 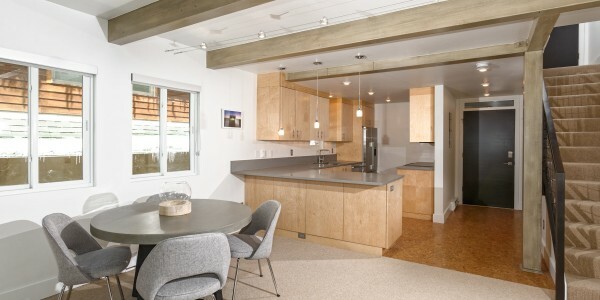 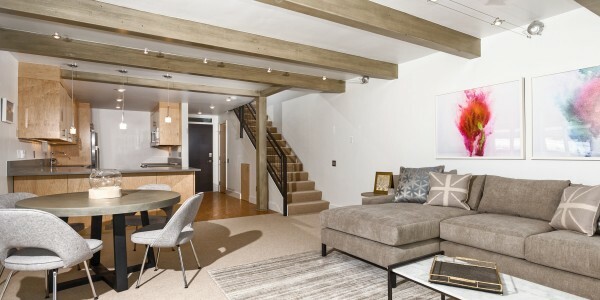 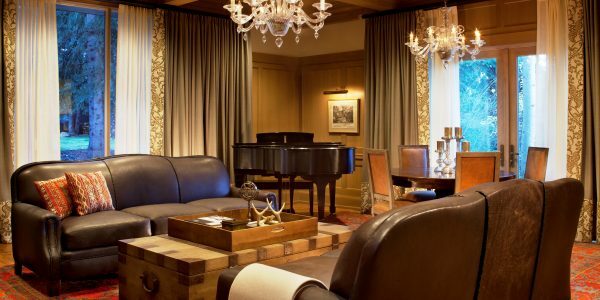 This spacious Aspen property features all new contemporary furnishings and custom details. 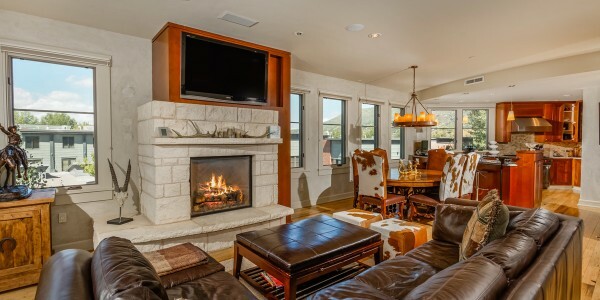 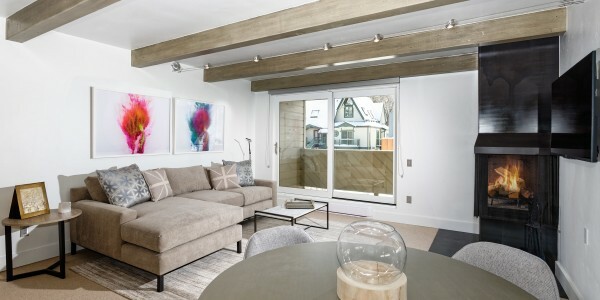 Chic open living area featuring wood burning fireplace and adjoining dining area. 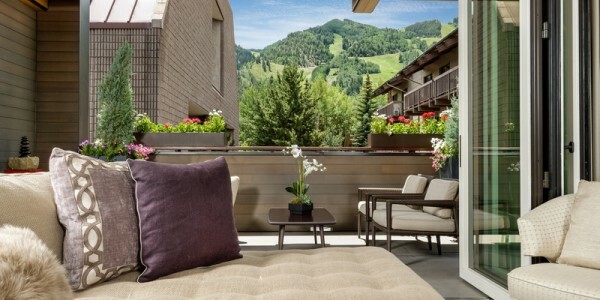 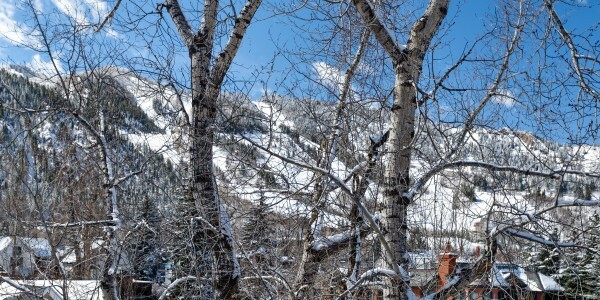 Enjoy fantastic views of Aspen Mountain from your two decks with two separate entrances. 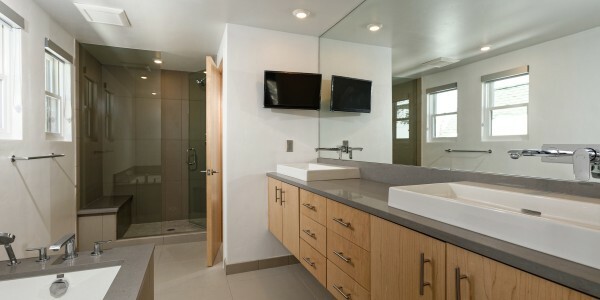 Beautiful top floor master bedroom with luxury bedding and custom cabinetry. 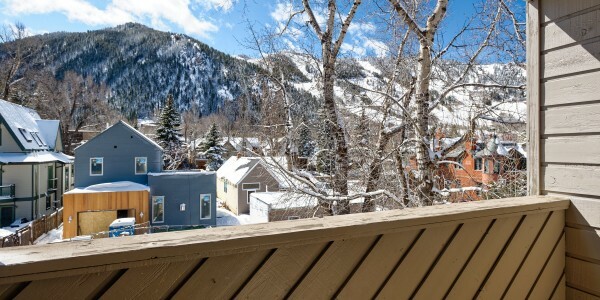 Fantastic location in a quiet neighborhood and just a short walk to downtown Aspen!